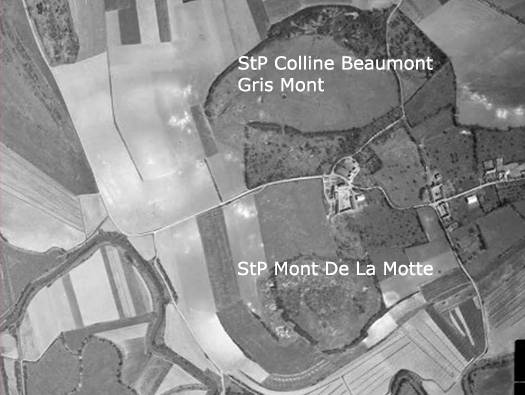 StP Mont De La Motte, K.V.A D2. StP Mont De La Motte. StP Colline Beaumont 'Gris Mont'. The former HQ of Stab II./H.K.A.R. 1245. StP Mont De La Motte H.K.B. 3 x (under construction) R688. 1 x 2cm Flak 38 Vierling (four barrel). R608 Battalion & Regimental Headquarters. Starting with StP Colline Beaumont Gris Mont. The hill is Gris Mont (Grey Hill) the former HQ of Stab II./H.K.A.R. 1245? 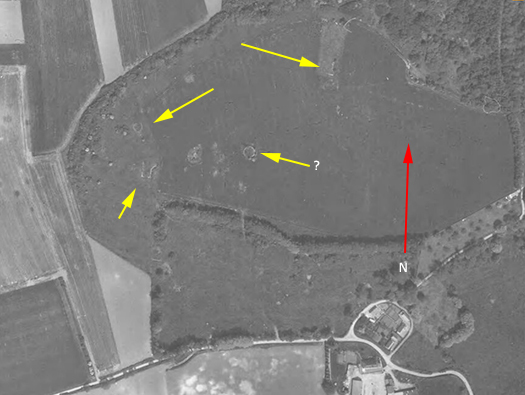 As far as I can see the HQ moved to Quend Beach in April 1944. On 28 March the Artilleriekommandeur 502 was introduced in the communication network of the Heeresküstenartillerie and the Heeresartillerie. Maps were made available to him. In case of attack it was planned to make available a direct telephone line between the HV 2 and the HKAR 1245. StP Colline Beaumont Gris Mont. 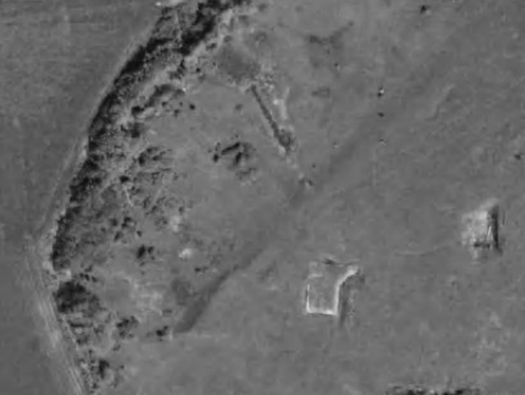 This is a 1947 air photo and many bunkers show up. The ? 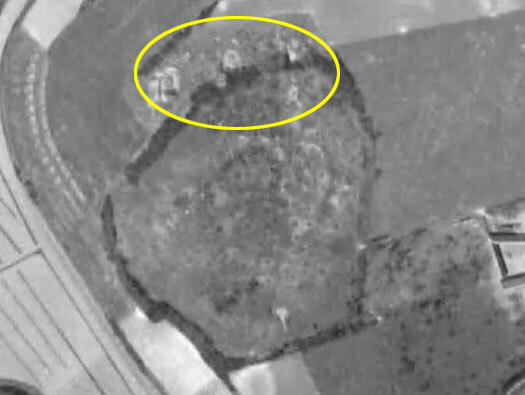 on the picture I think is a bomb crater. 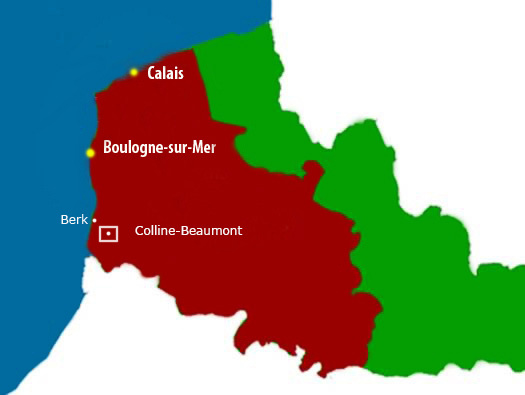 The area was plastered by heavy bombing in the later part of 1944. Lancaster's on a daylight raid. This could be an R119. R119 a Battery Commander's bunker. The R119 looks as though its waterlogged but the R608 looks accessible. The other here somewhere is an R608 Battalion & Regimental Headquarters.. These towers were built in the earlier part of the war to make transportable fire control posts made of a form of scaffolding and steel joists, these could be built, dismantled and moved on to another site very easily. A fire control tower made of a sort of scaffolding. This is the tower at Gi301 Koblenz, Girond Sud. 3 x (under construction) R688 casemates. 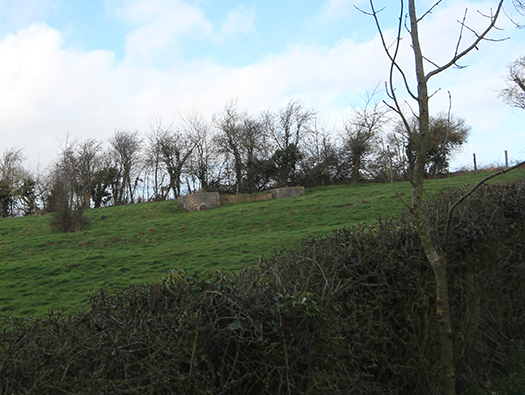 The photo above shows the foundations of three R688 casements. An R688 casement at Etaples, this design allows a 17cm K18 gun fire as almost a mortar allowing it to fire almost vertical and down to horizontal making it a very useful gun but making a casemate a difficult build. 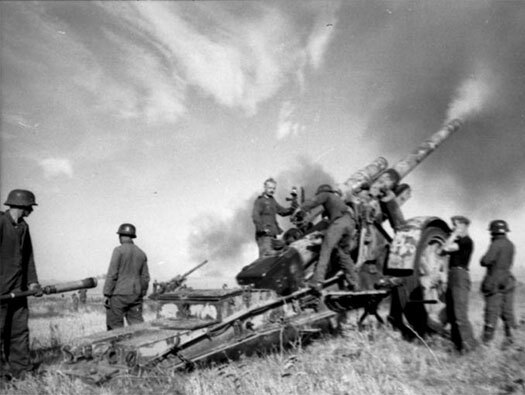 The 17 cm Kanon 18 in Mürserlafette (German: Heavy Howitzer Carriage) (17 cm K 18 in MrsLaf) was a German heavy gun used in the Second World War. It was intended to be employed at the Corps level in order to provide long-range counter-battery support. It filled the same basic role as the 21 cm Mörser 18 as well as sharing its carriage, and replaced it entirely after 1942. Although it was technically an excellent weapon, it was expensive, difficult to maneuver, and very slow to set up and tear down; many were lost when their crews abandoned them to avoid capture by advancing Allied forces. 10cm le.F.H.14/19(t) horse drawn defence gun. 2cm Flak 30 AA gun. 2cm Flak 38 Vierling (four barrel) AA gun.